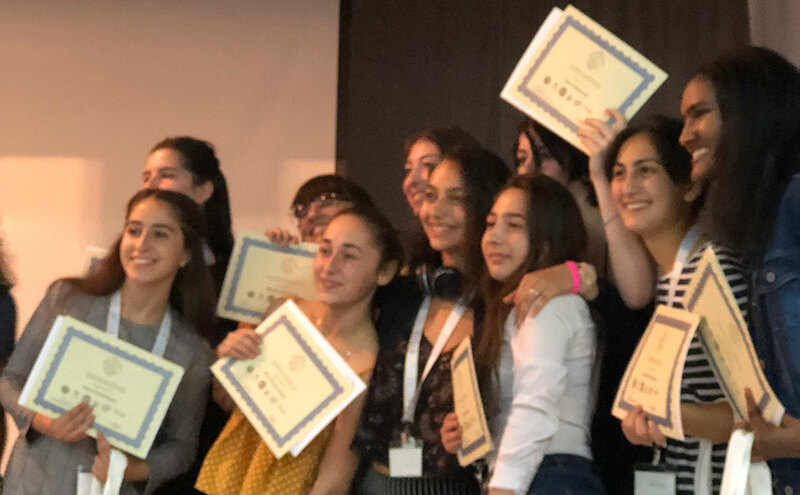 From August 12-25, 100 girls from Georgia, Armenia, Azerbaijan and the United States will attend a camp in Tbilisi, Georgia to build skills in leadership and STEAM (science, technology, engineering, arts and math). 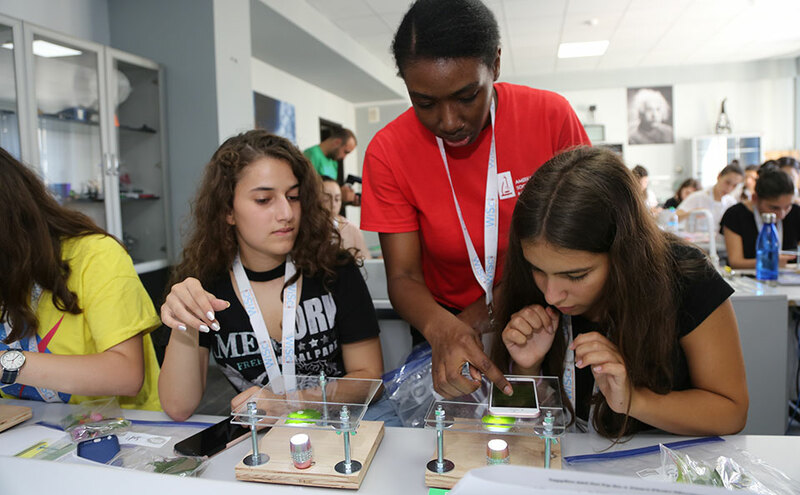 MCC is partnering with the UN Foundation’s Girl Up campaign, the U.S. Department of State, Google, Microsoft and Intel to sponsor the Women in Science (WiSci) camp. MCC’s $140 million compact with Georgia seeks to increase the earning potential of Georgians through improvements in the quality of education in science, technology, engineering and math (STEM) fields, including efforts to increase women’s participation in STEM professions. Internationally, there is a strong gender imbalance in the STEM fields. The WiSci Camp aims to bridge the gender gap through access to education, mentorship opportunities and leadership training. What will the girls learn? 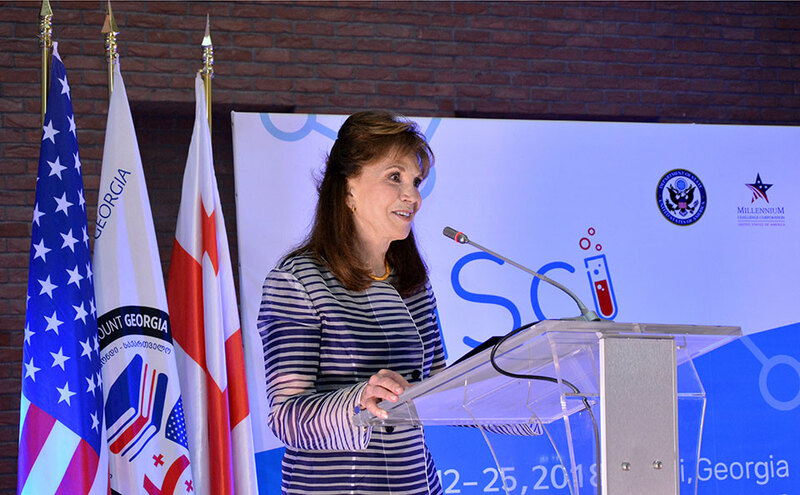 Sonia Shahrigian, MCC Deputy Resident Country Director for Georgia, explains that the girls will explore new technologies, use sophisticated lab equipment, program robots and learn to code websites. The curriculum offers girls opportunities they would not otherwise have and encourages them to pursue higher education in STEM fields. Sonia Shahrigian, MCC Deputy Resident Country Director for Georgia. MCC has partnered with Microsoft, Google and Intel to develop a modern, engaging, STEAM-focused curriculum for the students. As MCC’s Jenner Edelman explains, the Georgia Compact seeks to increase the earning potential of Georgians through improvements in the quality of STEM education, including efforts to increase women’s participation in STEM professions. Jenner Edelman, MCC Resident Country Director for Georgia. Part of MCC’s Georgia investment supported an innovative partnership with San Diego State University-Georgia (SDSU-Georgia) to deliver U.S. bachelor’s degrees in subjects like chemistry and computer engineering in Georgia. 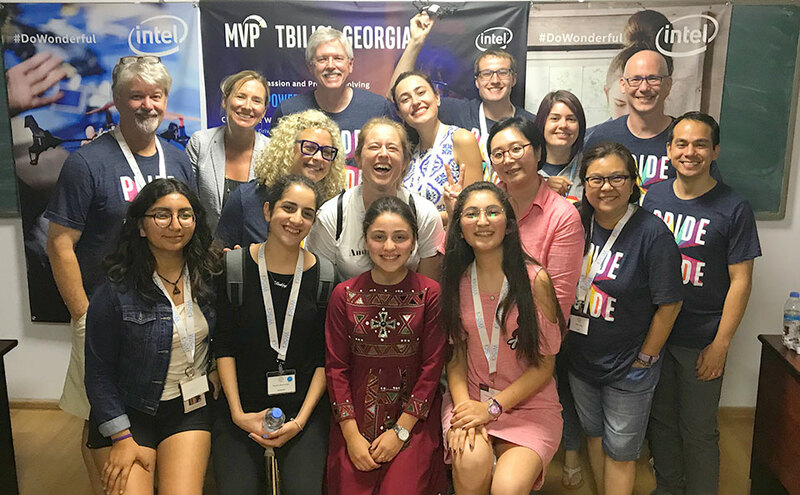 Seven women from the SDSU-Georgia program are working as counselors during WiSci, where they’ll be sharing their experience in the STEM field and helping to guide camper activities. Counselor training for #WiSciGeorgia is wrapping up and we can’t wait to welcome the campers in just 2 days! 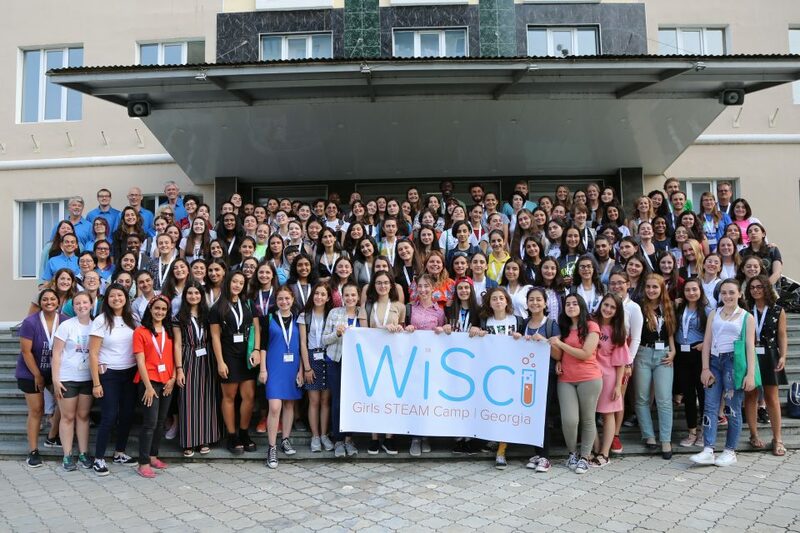 100 high school girls from the U.S. 🇺🇸, Georgia 🇬🇪, Armenia 🇦🇲, and Azerbaijan 🇦🇿 will join the WiSci #STEAM camp in Tbilisi to work on enhancing their science, technology, engineering, arts, and math skills. 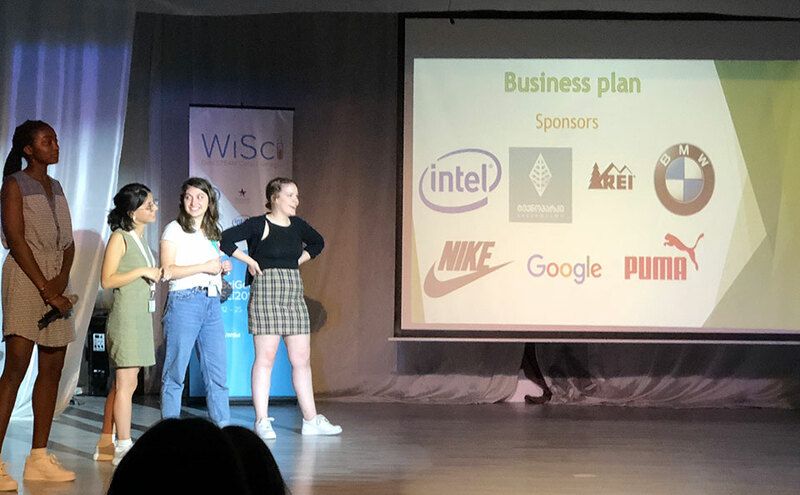 On the last few days of WiSci Georgia, campers had the opportunity to present their Mastermind projects and attended the camp’s closing ceremony where MCC Vice President and Chief Financial Officer Cynthia Huger spoke. Campers present their final Mastermind projects to their fellow campers, counselors, and teachers, which incorporate what they learned in the classroom and in their counselor-led leadership sessions. Campers pose for pictures with their certificates recognizing their completion of WiSci camp. 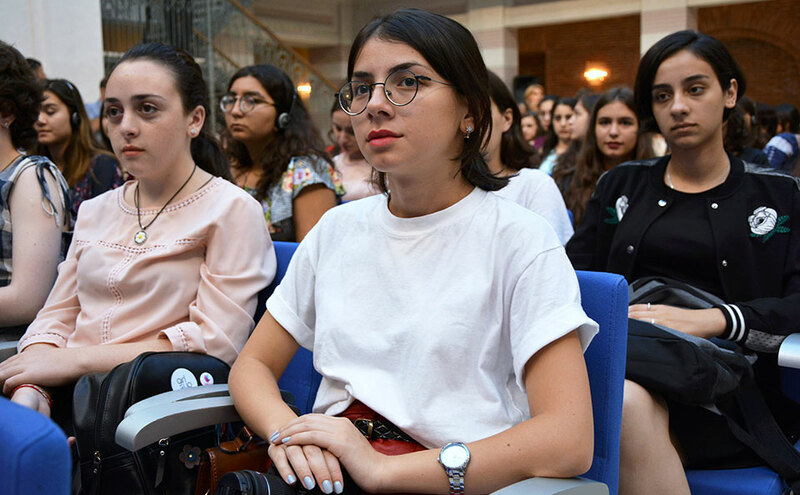 The WiSci Georgia closing ceremony was held at the office of the Mayor of Tbilisi. 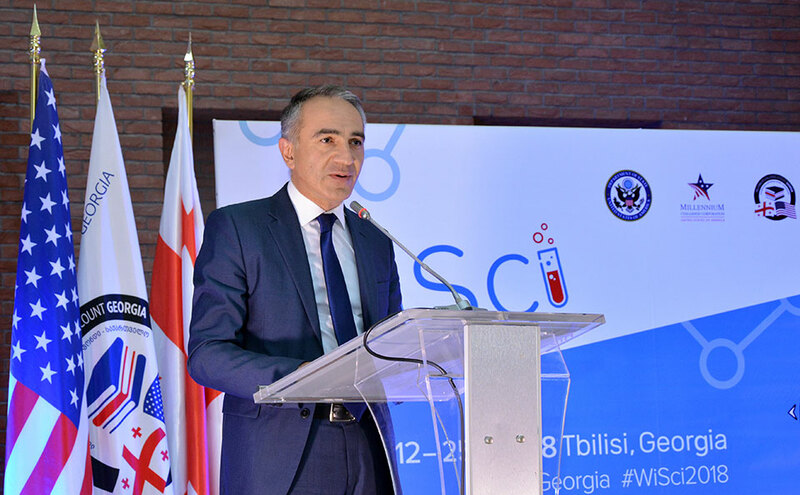 Mikheil Batiashvili, Minister of Education, Science, Culture and Sport, gives remarks at the WiSci Georgia closing ceremony. Cynthia Huger, MCC Vice President and Chief Financial Officer, gives remarks at the WiSci Georgia closing ceremony. 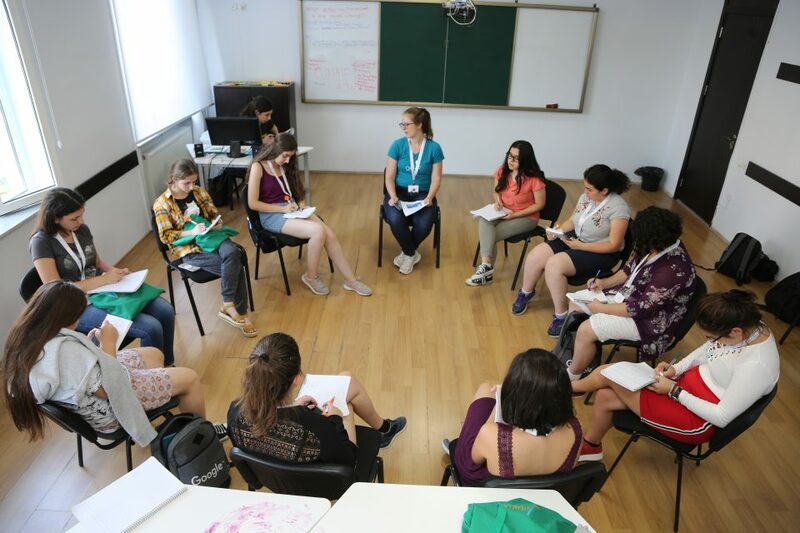 WiSci Camp counselor Tamar Kerdikoshvili reflects on her experience as a counselor. 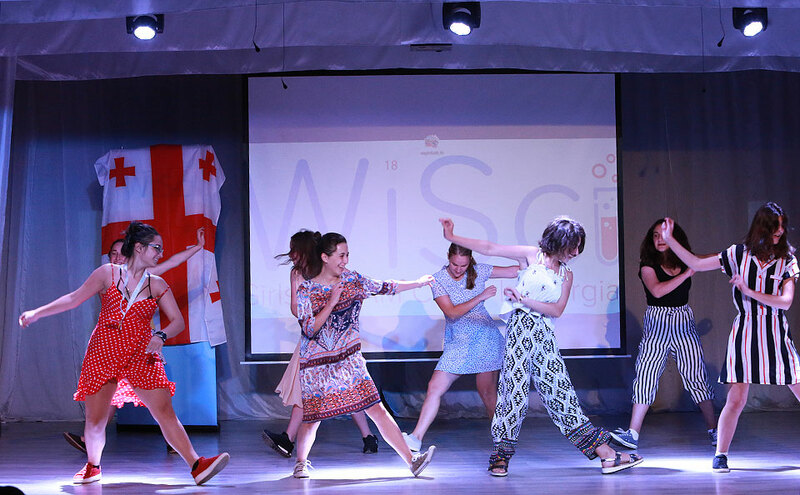 WiSci Camp counselor Lela Tvaliashvili discusses why she wanted to get involved with WiSci. 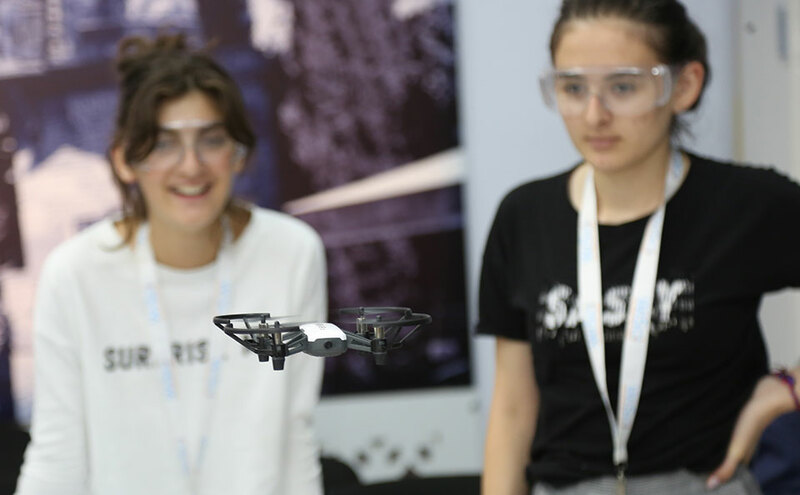 On their last day of classes with Intel, the girls continued learning to code drones to fly safely. 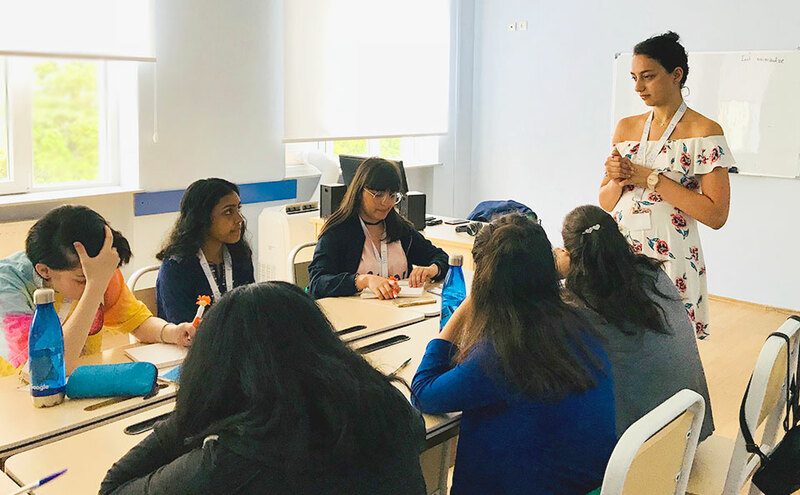 For the second week of the WiSci Girls STEAM Camp, the girls continue their Intel classes where they are learning how to fly drones, program AI devices, and build model automated cars. They also began their Microsoft classes and are learning to code through the popular game Minecraft. The first weekend at WiSci camp was busy for the girls and counselors. 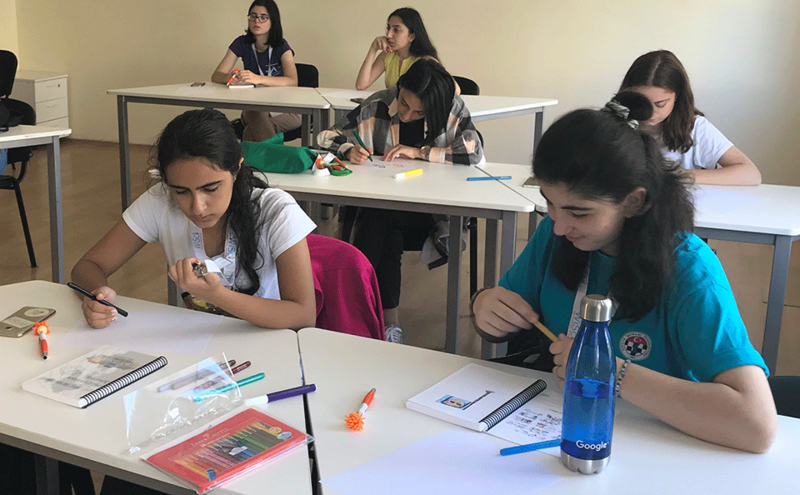 The campers attended classes with the the American Society for Microbiology where they learned about microscopy and Gram staining. In classes with Intel they learned about programming and building robots and flying drones. The U.S. campers performed at Culture Night with a presentation on U.S. history, current social movements, and the National Anthem. 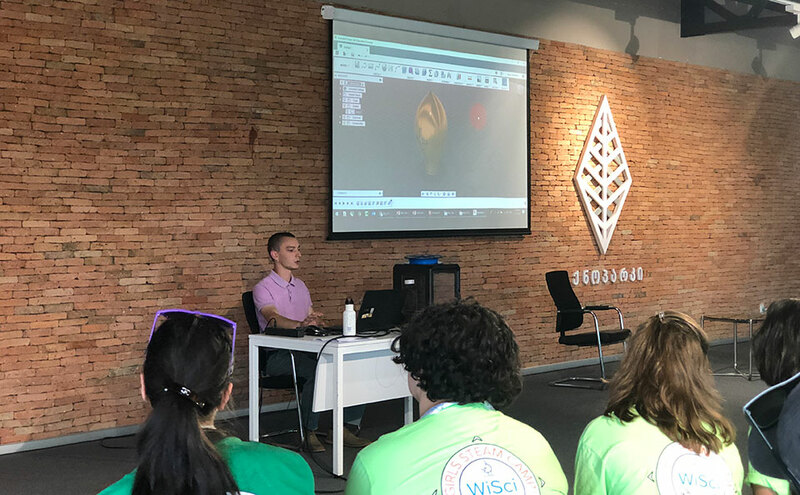 On Friday, campers went on an excursion to Georgia’s Innovation and Technology Agency where they had the chance to watch demonstrations like 3D printing. 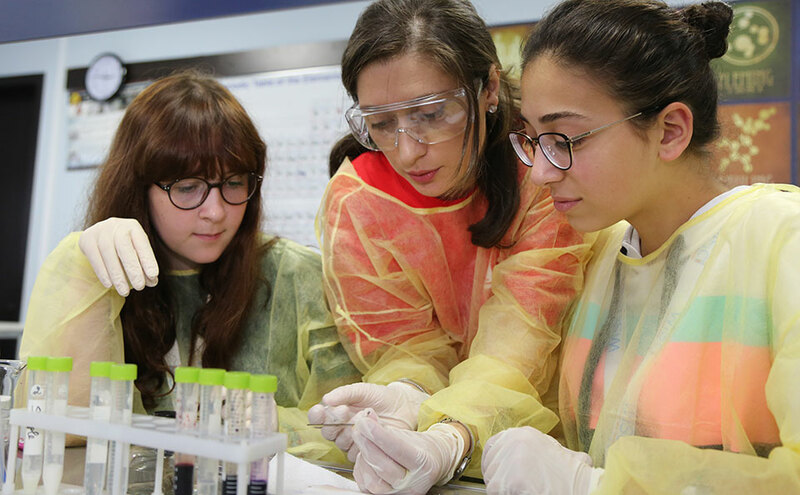 Classes with the American Society for Microbiology took place over the weekend. The first activity with ASM was Gram staining, a technique to differentiate two large groups of bacteria. The American Society for Microbiology also led campers through an exercise where they turned smartphones into microscopes. In classes with Intel, which began on Sunday, the campers learned how to fly drones. 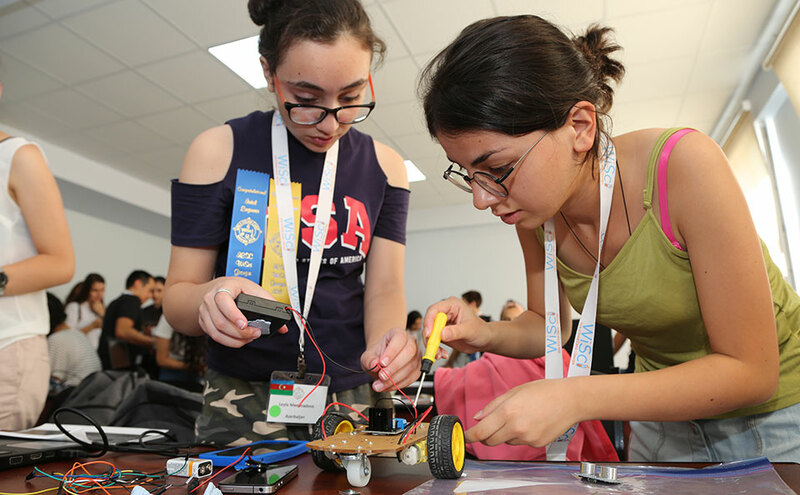 The Intel engineers also led an exercise where the campers had the opportunity to build robot cars. To round out the weekend, the U.S. campers had their culture night, which included a presentation on U.S. history, current social movements, and the National Anthem. The first week of WiSci camp is wrapping up and it has been a fun and busy week for the girls and counselors. 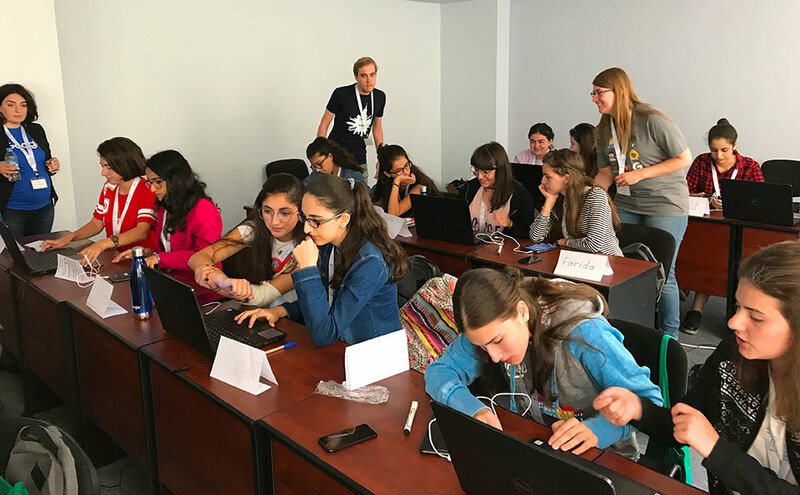 The 100 high school girls from Georgia, Armenia, Azerbaijan, and the U.S. attended classes with Google where they learned the building blocks of Android app development, coding, and much more. Between classes, the girls participated in mentor hours hosted by Google, Intel, the American Society for Microbiology, and MCC. 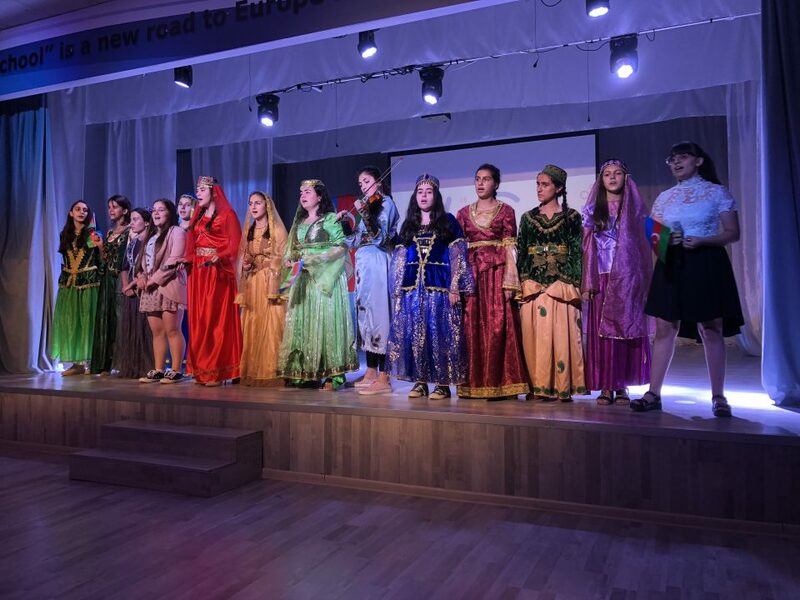 After busy days of learning, the girls celebrated with cultural nights to share their cultural heritage with unique and vibrant performances featuring traditional songs and dances. Campers learn how STEAM fields are important to addressing global issues such as poverty and hunger. Campers learn how STEAM fields can help us understand and mitigate environmental challenges. Campers spent much of their week learning about app development. One goal of WiSci Camp is to give girls the confidence and camaraderie to pursue further STEAM education long after the camp's conclusion. STEAM differs from STEM because it includes the arts. 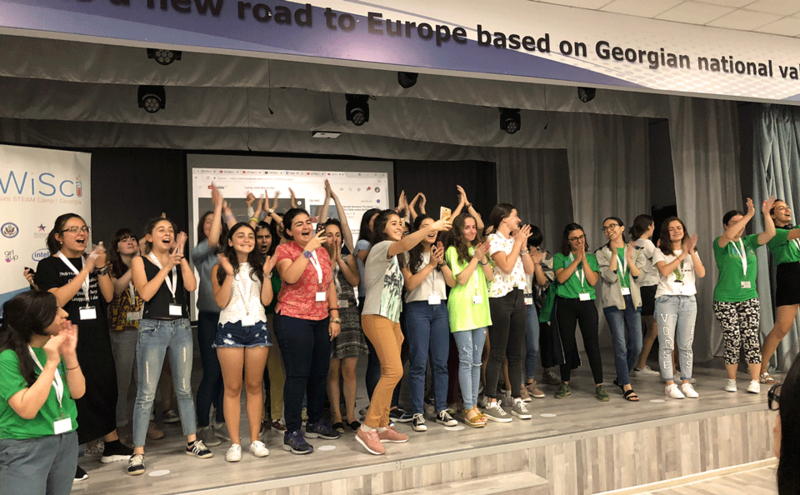 The day ended with a presentation from the Azerbaijani campers and counselors for their culture night, which included traditional Azerbaijani songs and dances. Campers are benefiting from lessons with engineers from our partners Intel and Google, among others. WiSci Camp counselor Mariam Khvichia recounts the highlights of her camp experience this week. 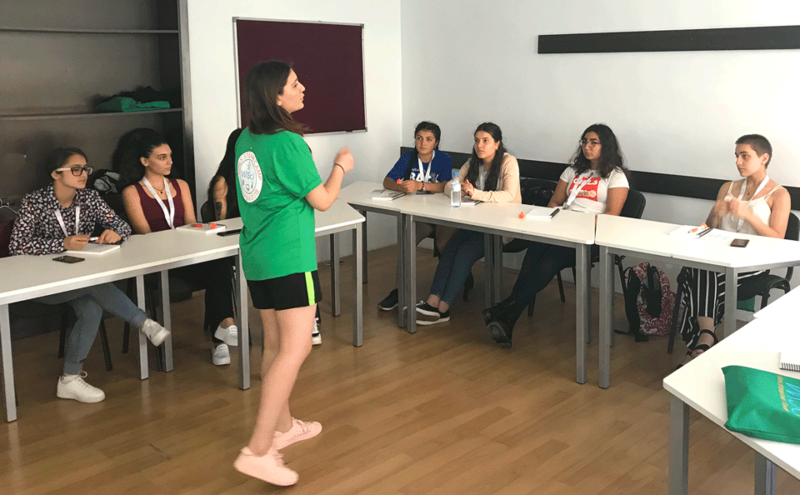 WiSci Camp counselor Ozheni Avetisyan tells us why it is important for girls to pursue STEAM education. On day four of WiSci Camp, campers continued their Android app development classes with Google. While the girls were in class, counselors had the opportunity to sit down with engineers from both Intel and Google for career mentoring. To end the day, the Georgian campers and counselors gave a presentation of their culture as part of the camp’s Culture Night series. 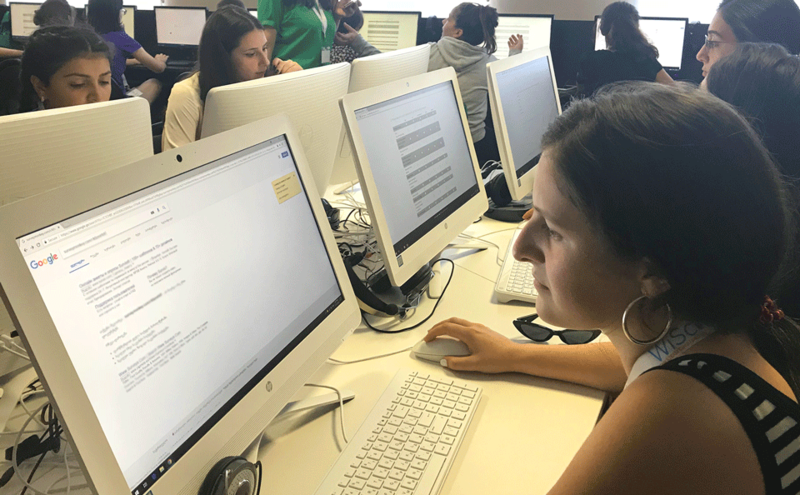 Campers work on more advanced Android app development on the second day of their Google classes. The WiSci counselors sit down with staff from Google to talk about their career paths. The counselors also had the opportunity to meet with the engineers from Intel for some career mentoring time. MCC’s Georgia Country Director Jenner Edelman joined the Intel engineers on a Skype call with Intel’s leadership and 5,000 employees to report out on camp activities. 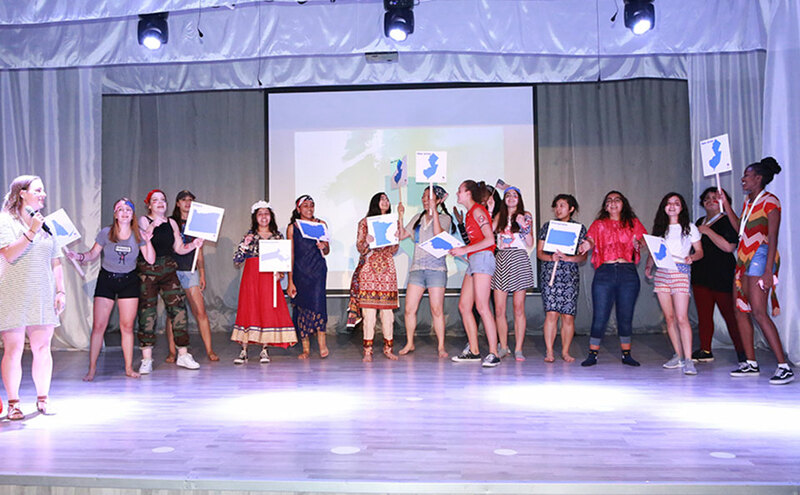 The day ended with a presentation from the Georgian campers and counselors for their culture night, which included Georgian history, food, and traditional songs and dances. 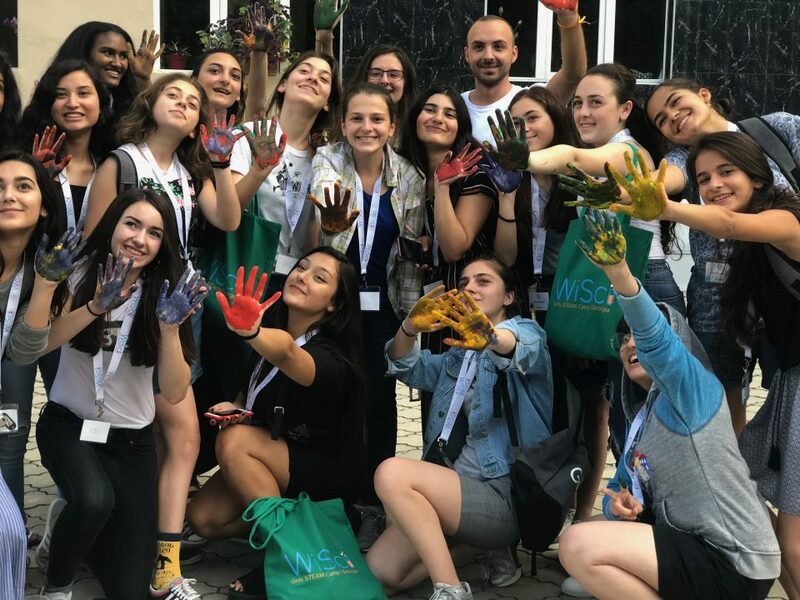 WiSci Camp counselor Nina Mikadze tells us why she wanted to participate in the STEAM camp and what women’s empowerment means to her. 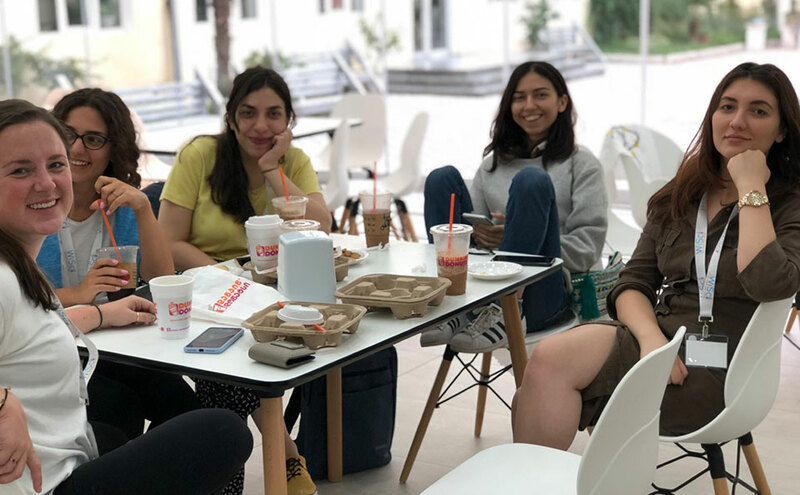 WiSci Camp counselor Mariam Gagua tells us why she wanted to participate in the STEAM camp and what she finds inspring about WiSci Camp. Day three was a busy day at WiSci Camp as instructors from Google taught campers the building blocks of app development. The girls continue to learn how to position themselves as future leaders in STEAM fields from their counselors and mentors. Counselor Nina is a rising senior at San Diego State University-Georgia studying computer engineering. Here she leads her cohort through a session on gender and STEM. 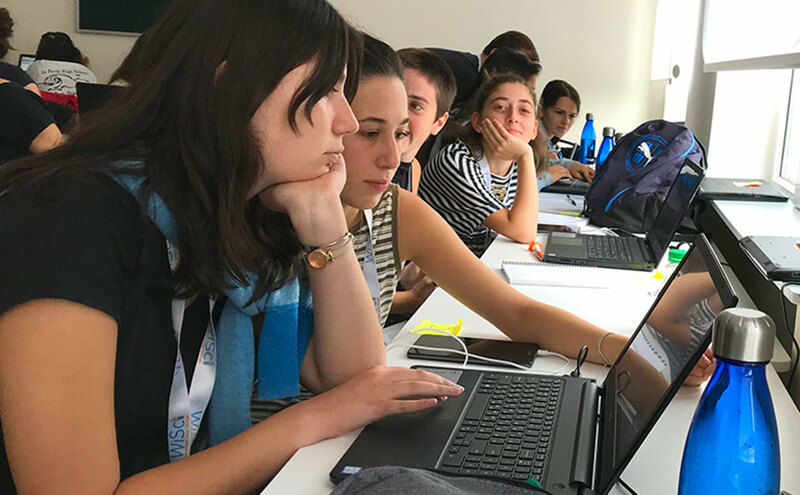 The campers started their Android app development classes with Google today and also had the opportunity to hear Google engineers from around the world talk about their work and career paths, and the kinds of jobs opportunities Google has to offer. 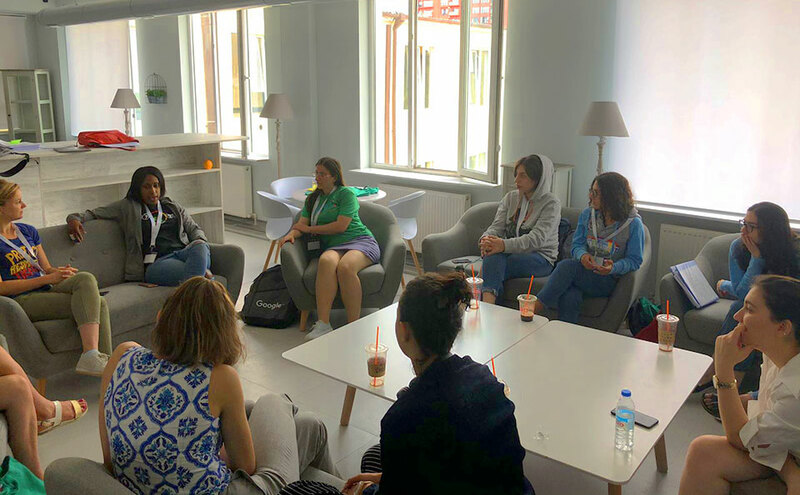 While the campers are in their Google class, some of the WiSci counselors debrief on their morning session on gender and STEM. At lunch, campers take group photos with new friends. WiSci campers had a great orientation day and are excited for classes with Google to begin on Tuesday. They will be learning about microbiology, coding, app-building, and more. Campers are guided through an online survey to assess their level of knowledge on various STEAM topics that will be covered at camp. Campers participate in a session led by counselor Tamar (Tako) Kerdikoshvlli from Georgia. 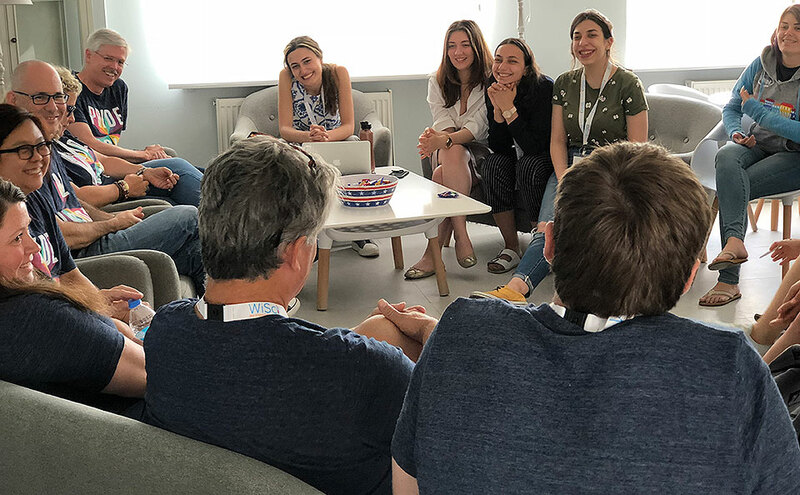 On the first day, campers were led through a session on identity where they got to share about themselves and learn about their fellow campers from other countries. WiSci Georgia campers join the counselors on stage during a break in orientation to enjoy some music and stay energized. Interest in STEAM fields and music is something that unites the campers from all four countries. After a successful first day of camp, campers and counselors enjoy some free time before heading back to their dorms. What better day to kick-off WiSci Camp than on International Youth Day! 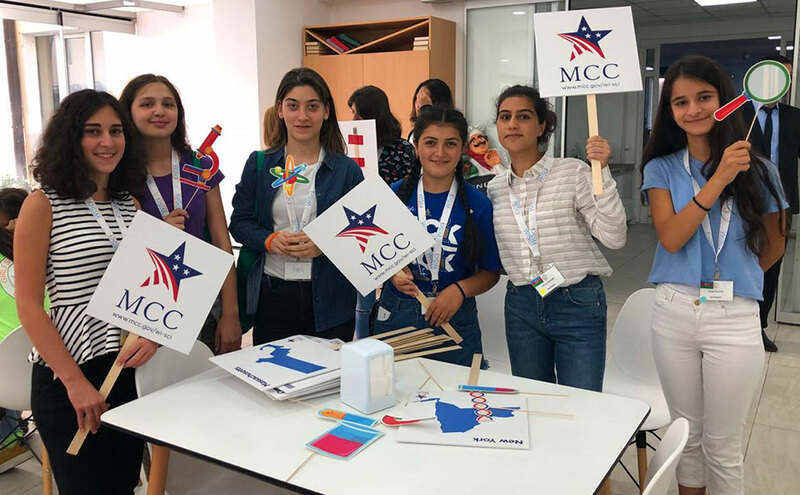 MCC was excited to join Girl Up in welcoming 100 high school girls from the United States, Georgia, Armenia and Azerbaijan to the 2018 WiSci STEAM Camp in Tbilisi, Georgia. Happy International Youth Day from the #WiSciGeorgia campers! 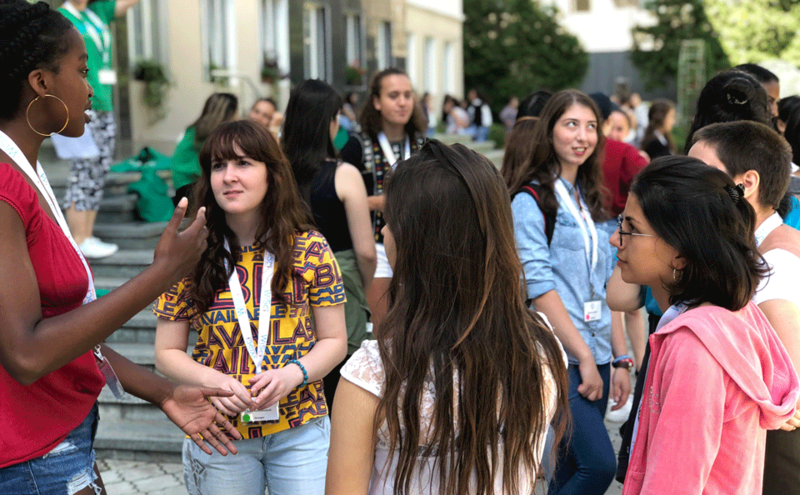 Over the next 2 weeks we’ll be sharing updates from the #STEAM camp in Tbilisi that is bringing together 100 high school girls from around the world. Click the link in our bio to learn more.